“My baby boy is battling a dangerous infection that may take his life soon. He throws up all the milk that he drinks, and it has choked his little lungs too. When Bhagat, with his tiny body covered in tubes, looks at us with those big innocent eyes, I feel guilt take over me. I feel that he is asking me “Papa will you take me home?” I will not forgive myself if something happens to him.”-Srihari Vinay Kumar, father. 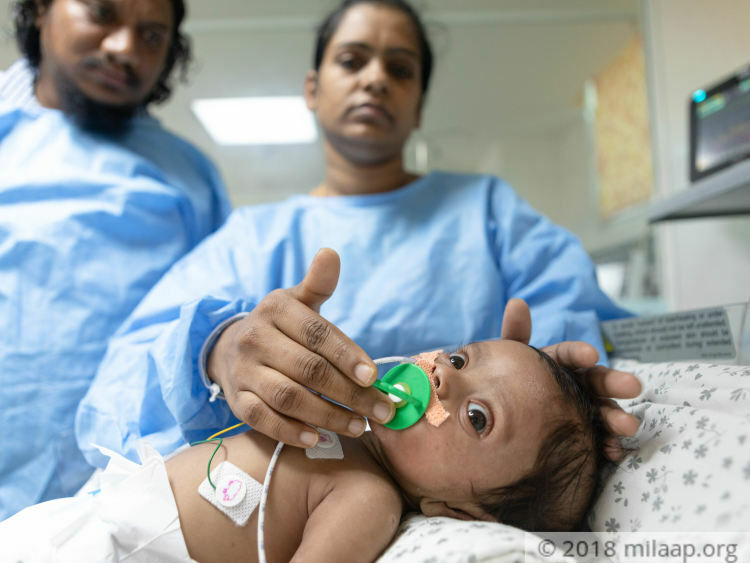 When Baby Bhagath was born without any known birth complications, his parents Srihari and Revathi were relieved. Revathi had a miscarriage previously at 10 months of pregnancy, and she was looking forward to finally enjoy motherhood. But before her happiness could fully sink in, her baby got really sick. “One day, he threw up immediately after drinking milk. I thought that it was because I had breastfed him in a different position. But it kept happening throughout the day. His lips started becoming chapped because he was getting dehydrated from not putting liquids down. I could not understand what had happened to him; he was perfectly fine the day before.”-Revathi, mother. Baby Bhagat’s condition worsened within no time. He could not even drink a mouthful of milk without vomiting it soon after. He had become weak and even his cries of hunger had become feeble due to this. His parents rushed him to the nearest hospital in their hometown of Meerpet in Hyderabad. “The doctors told us that nothing could be done, and that we had to take him to a better hospital elsewhere. I knew I couldn’t afford treatment in big hospitals, so we took him from clinic to clinic for help. But he just seemed to get worse.”-Srihari. 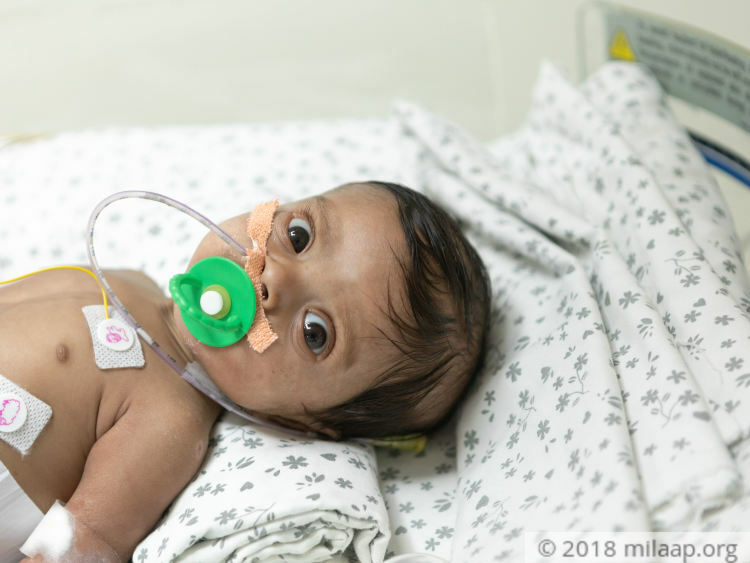 “As if vomiting was not enough to make my baby extremely underweight and frail, he also started getting diarrhea. No medicine could help him. He was barely alive – all his vigour had been sucked out of him because of dehydration from starvation. Even we stopped eating gradually because we could not bear to see our little boy suffer like this.”-Revathi. Srihari, a poor painter, had to borrow money just to take his baby to a good hospital in Hyderabad. 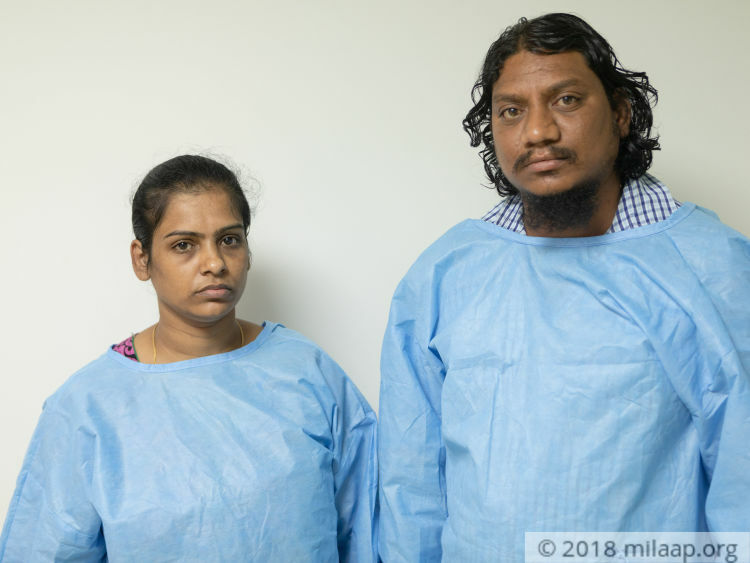 It was there that the baby was diagnosed with severe gastroesophageal reflux and food allergy. This was causing milk and acid in his stomach to go back up to his food pipe and mouth, thereby triggering vomiting. He was also found to be suffering from pneumonia (lung infection) as a result of milk being regurgitated in the lungs and windpipe. “As soon as we reached the hospital, Bhagat had to be rushed to the ICU. He was so irritable and breathing had become very difficult because of the lung infection. We were not sure about his survival.”-Srihari. Srihari has not been able to go back to work after his baby’s condition became critical. He has been guarding the ICU doors to catch one glimpse of his son who is shrouded by medical equipment from head to toe. 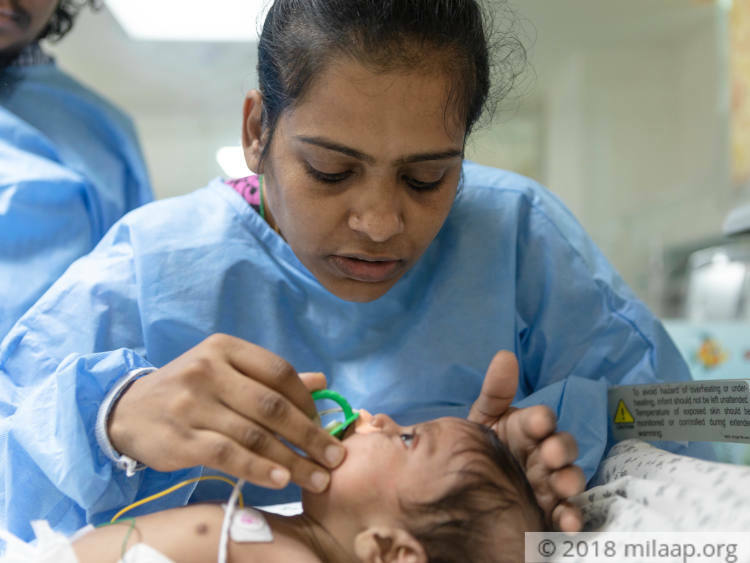 Revathi had not recovered from her C-section delivery yet, and now has lost her mental peace as well. She is forced to stay in the waiting room of the hospital as they cannot afford a room in the hospital. “We cannot afford to pay for our son’s treatment, how will we take a room? For us, the most important thing is saving our son. We can bear anything for it. But right now, our hopes are fading. We need a helping hand.”-Srihari. 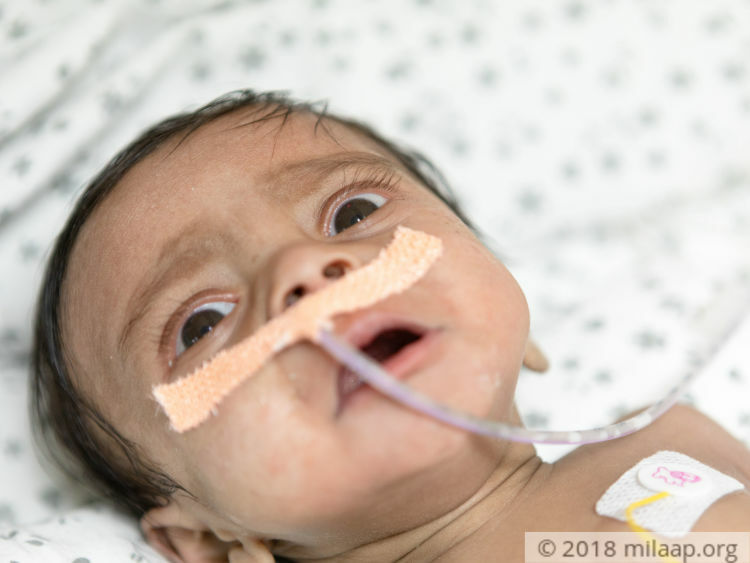 Baby Bhagat will live only if his parents can keep him in the ICU for a few more weeks till his condition stabilizes. But Srihari and Revathi have exhausted all their resources and have knocked on every door, without avail. Their son’s beautiful face is haunting them and does not let them get a moment’s rest. 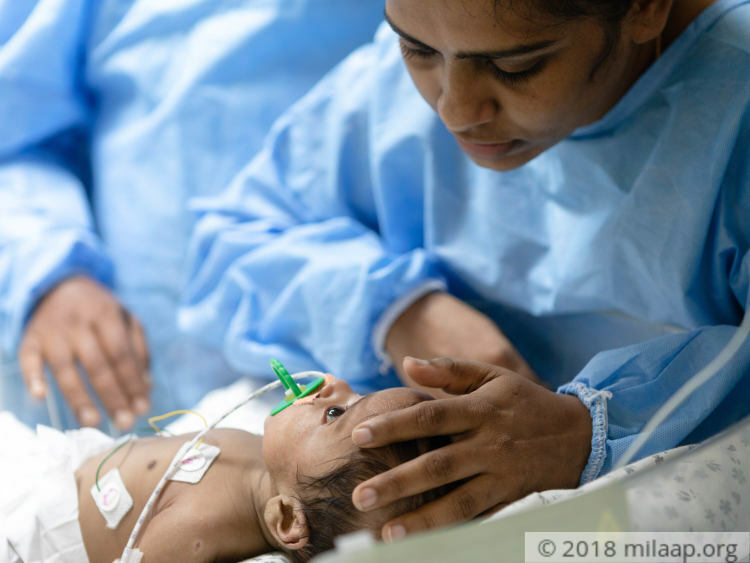 Without urgent help, they will lose yet another baby. Thank you so much for the love and support you have shown towards Bhagath's health. Currently, he is at the home and is recovering slowly. The baby needs to gain weight so that to avoid any complications due to the treatment. He is on medication as prescribed by the doctors and is on diet as suggested by the doctors. Please pray for his health and speedy recovery. Will keep you posted on further developments. Here is a quick update on Bhagath's health. Currently, he is at home and doing a lot better. He has some minor infections which will be cured with a mild dosage of medicines prescribed by the doctors. Thank you for the love and support you have shown towards Bhagath. 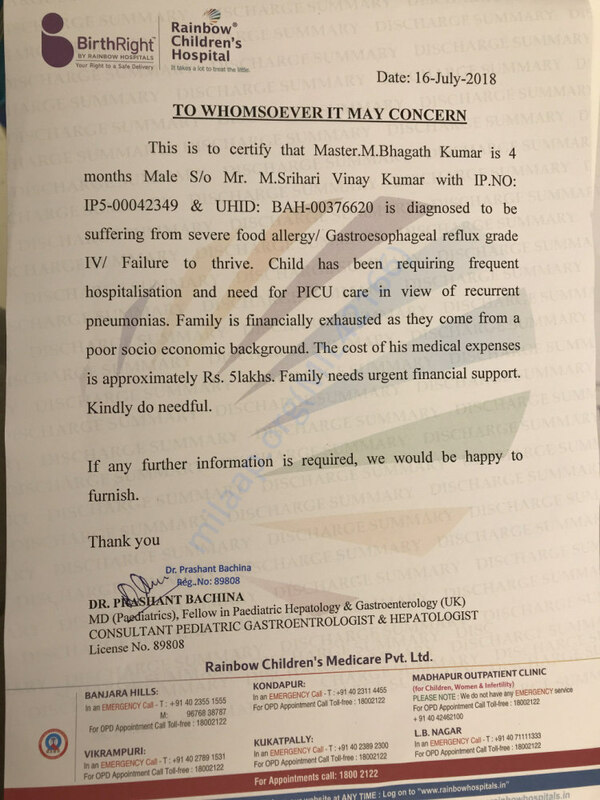 On the 25th of July, Bhagath got discharged from the hospital but unexpectedly the kid fell sick and on July 31st and had been readmitted into the hospital under continuous medical attention. After the treatment the kid has got better and was discharged. He is showing signs of recovery but still has some and traces of Pneumonia for which he is on medication and regular follow ups. Thank you for the support and do pray for his speedy recovery.